AGM may not be a household name for the vast majority of people living in Europe and the U.S., but this is a well-known maker of rugged phones that sells its products in many countries around the world. The company’s lineup currently includes six IP68-rated models, and in order to attract the attention of the mass market, AGM is preparing its new X2 model that weds a rugged design with the latest technology. At MWC 2017 this year, the company announced its new flagship that will be based on Qualcomm’s Snapdragon 835 and will rival leading-edge smartphones from big makers. To put this into context, AGM’s current X1 flagship is based on the Qualcomm Snapdragon 617 (eight ARM Cortex-A53, Adreno 405, X8 LTE, etc.). The X1 is equipped with up to 4 GB of DDR3 RAM, up to 64 GB of eMMC NAND, two 13 MP back-facing cameras, a 5400 mAh battery and comes with a 5.5” FHD AMOLED display featuring Gorilla Glass 3. The phone is IP68-rated against dust and immersion in water (over 1 m depth, but other conditions are specified by the manufacturer), yet it looks considerably neater than typical rugged designs. While AGM’s phones come in rugged enclosures and can survive in situations when other handsets might fail, none of them are MIL-STD 810G-graded. 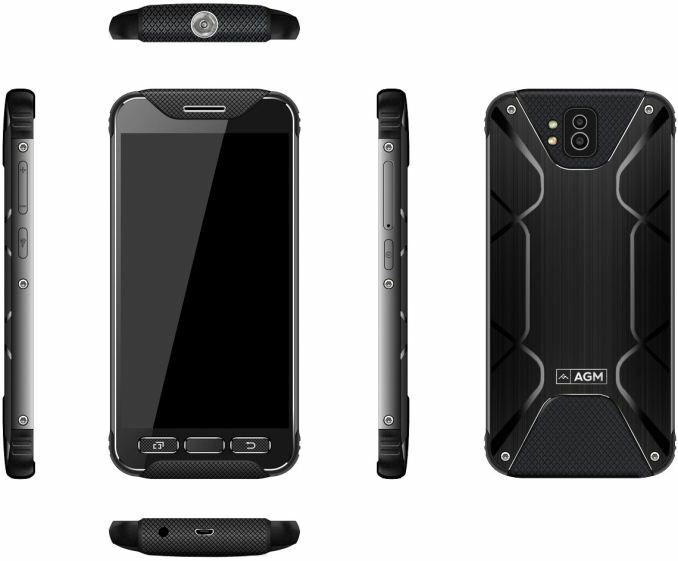 While the AGM X1 is positioned by the manufacturer as an affordable rugged phone for extreme sports and other outdoor activities, but it is definitely not a phone from the premier league. In the coming months (in mid-2017) AGM plans to introduce its X2, which will be positioned as a premium smartphone and will feature Qualcomm’s latest Snapdragon 835 SoC (10nm, eight new Kryo cores, Adreno 540, X16 LTE, LPDDR4X, etc.). This is along with 8 GB of DRAM, 256 GB of NAND, two cameras, a ~6000 mAh battery (there will also be the AGM X2 Pro with a 10,000 mAh battery) an omni-bearing ambient sensor and so on. Based on official images of the AGM X2 (originally published by AGM and AndroidHeadlines), it is possible that the phone has four antennae and thus supports 4x4 MIMO, one of the three features required for Gigabit LTE. 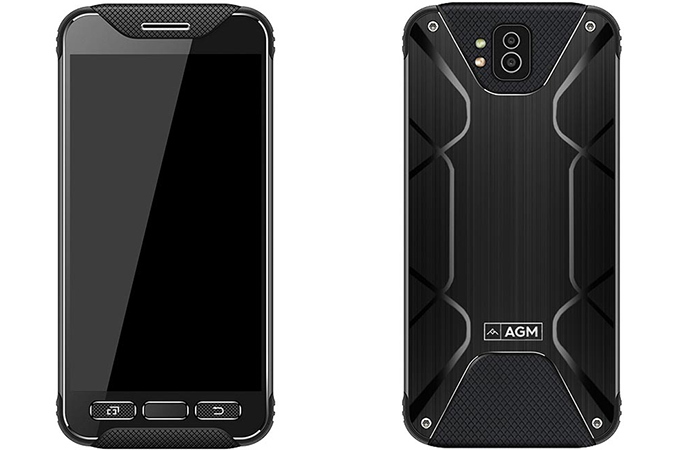 The AGM X2 will be one of the first IP68-rated Snapdragon 835-based smartphones with a rugged design. Meanwhile, for AGM, this will be a debut on the market of premium smartphones that compete against Apple’s iPhones or Samsung’s Galaxy S-series. The price of the AGM X2 is unknown, but it will likely vary significantly depending on the store and the region. For example, the AGM X1 can be bought for $260 in China or for over $480 in the U.S.